Generally speaking, a skimmer is a small device used to steal credit/debit card information. 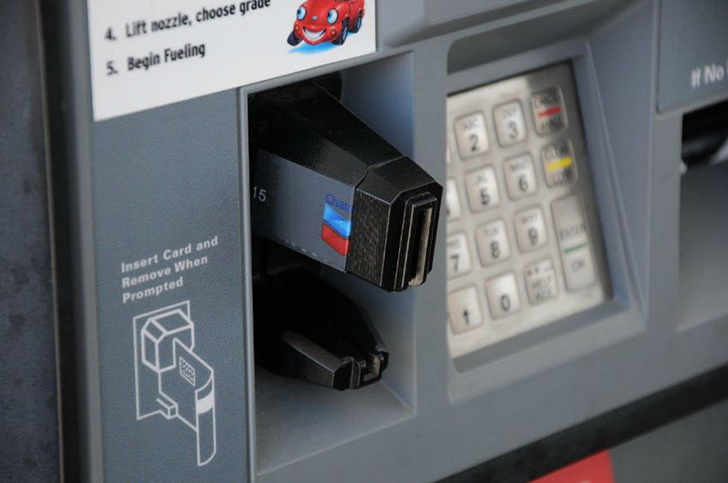 Thieves will place them on top of card insertion slots on unwatched payment terminals (example), like those on gas station pumps and outdoor ATMs. When you insert your card, the card passes through the skimmer, which captures the magnetic strip data. Later, the thief will return and collect the recorded data, sometimes allowing them to make purchases using the stolen card information.